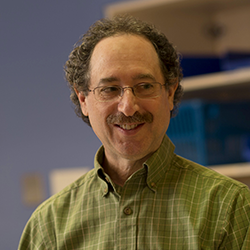 Dr. Ira Dunkel is a Member of the Memorial Sloan Kettering Cancer Center, Professor of Pediatrics at Weill Cornell Medical College, and Attending pediatric oncologist at Memorial Hospital and New York Presbyterian Hospital. He received his undergraduate degree from Johns Hopkins University (Baltimore, MD) and his medical degree from Duke University (Durham, NC). He completed his pediatric residency at Duke and then spent 1 year as a fellow in pediatric infectious diseases, both at Duke and at Muhimbili Medical Center in Dar-es-Salaam, Tanzania. He then completed a pediatric hematology-oncology fellowship at the Memorial Sloan Kettering Cancer Center and New York Hospital. His main research interests are in the fields of Pediatric Neuro-oncology, Retinoblastoma, and Developmental Therapeutics and he has published more than 140 peer-reviewed papers. He is currently Chair of the Pediatric Brain Tumor Consortium, a member of the National Cancer Institute’s Brain Malignancy Steering Committee and a Special Government Employee for the Oncologic Drugs Advisory Committee in the Center for Drug Evaluation and Research, FDA.